Unam Sanctam Catholicam: Saints are mentally ill, according to "The View"
Is ms Behar jewish perhaps? 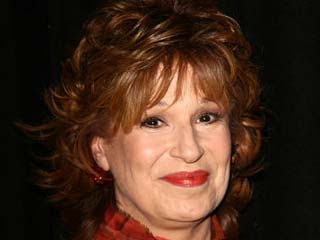 Ms. Behar is no Catholic. She may have been baptized a Catholic, may have even attended Catholic grade school - or not - may have even had a Catholic first wedding. She has since then divorced, does not attend Mass or the sacraments, has lived with her Jewish "boyfriend" for 25 years,and makes fun of Catholicism or its crises at any possible self-promoting moment. She claims to be Catholic, oh wait - that must be the small "c" catholic. This is nothing new. Fr. Benedict Groeschel, the beloved Franciscan (of the Renewal) from EWTN, who has a show that brags of his "wisdom" says that St. Joseph Labre was mentally ill. This is a dangerous road to go down, because it is easy to accuse anyone who lives differently from the world as being mentally ill. Fr. Groeschel is enamored of modern psychology, and has been led astray to that extent.